The global manufacturer of medical vacuum solutions trusted by healthcare professionals around the world. Streamlined care clinically proven to give better outcomes. Easier care with therapy confidence. Integrating our best-in-class vacuum technologies within your innovative therapies. We exist to make life easier and improve outcomes for healthcare professionals and patients through the innovative use of medical vacuum technology thanks to continued research, innovation and the evaluation of customer's needs. 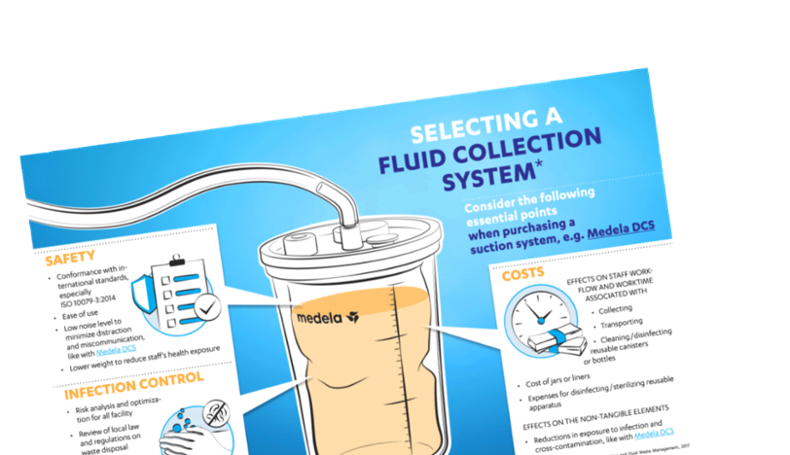 Discover how to optimize the fluid waste management and learn how to mitigate risks. Taking charge of Enhanced Recovery After Surgery (ERAS) guidelines in thoracic surgery. New ERAS (Enhanced Recovery After Surgery) guidelines are here, yet the manner in which they get rolled out in your institution is far less certain.